As we approach the end of the year, we often reflect on what we have and have not accomplished throughout the year. When we set our goals and New Year’s resolutions, we have grand ideas and plans. One way to achieve our plans is to set SMART goals rather than general ones. Be specific. It is difficult to achieve a vague idea. For example, set a definitive goal of I would like to take a vacation in June to California instead of I would like to take a vacation someday. Not only does this give you a time-frame, it allows you to research what you need to achieve this – such as costs. Next, your goal should be measurable. By knowing the details, you can set incremental goals to achieve the bigger, overall goal. Take my trip to California – I need to know the cost I plan on spending and when I am going, so I can start saving now. For instance, if my trip is going to cost me $500, and I plan on going in 6 months, I need to save just under $85 per month. I will be able to measure my progress each month as I save money. Your goal should be achievable. If I currently have no income, it will be very difficult to save $85 per month. A better goal at this point would be to find a job, so I can have the money to save for a vacation. Having a relevant goal is important. If it does not matter to you, you will not be motivated to achieve it. Personal values and aspirations are necessary components of setting goals that matter to you. Why do I want to go to California? For me, it is not just a fun vacation, but I have family there that I haven’t been able to see for a while; therefore, I am more motivated to save money each month. Finally, having a time-frame will help you reach your goals. While I would love to go to California next month, I will not have the time to save the money by then. Also, setting the time-frame far enough out (June), but not too far (such as sometime in the future) gives you more specific direction. Whether your ambitions are financial, related to school or a future job, as you approach goal-setting next year make sure you set SMART goals. Fulfilling your New Year’s resolutions will be within your reach! The New Year will be here in a few short weeks. With finals and the busy holiday season approaching, the New Year will be here before we know it. Around the end of the year we start to reflect, wondering if it went as planned. Maybe 2015 brought some unexpected financial hardships, maybe you ended up spending more than you earned, and maybe your student loan debt grew and grew this year. All of these situations can seem overwhelming. That is why PFC is here to help. Remember, you can always request an appointment at www.ksu.edu/pfc for personalized help. 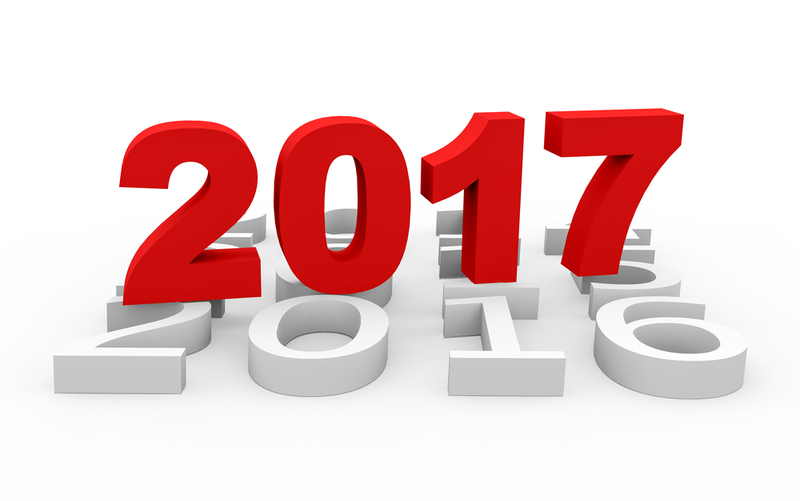 But below are a couple generalized tips to keeping your financial goals, or New Year’s Money Resolution for 2016 in line. What if I am happy with my finances? You may be thinking you don’t really need to change any part of your finances. But it is important to remember that the unexpected could always happen or things may not go exactly according to plan. So if you are one of the lucky students who have little, or no student loans, maybe you could work on building your credit. Or if you have an excess amount of money each month, instead of splurging on a trip to the mall, put it into an emergency savings account fund. The point is that even if your financial situation seems great, there is always something to work on to make it that much better. What do I do if I need to start up a new and improved budget for the year? Although it is difficult to change the things of the past, you can always plan for the future. 2016 may bring many obstacles and your financial stress could be at an all time high. If this is the case and you need to vamp up your budget, you can visit our website at www.ksu.edu/pfc/budgeting for some information on budgets. Don’t get discouraged if 2015 didn’t go as planned. Sometimes it can be hard to stick to a budget. Try to get a fresh start for 2016 and push yourself to stick to a realistic budget that allows you to spend money where you want. Remember, sometimes it doesn’t always seem this way, but budgets are your friend. They help you stick to a plan, which can be essential for you to reach your long-term financial goals. How can I build my credit throughout the year? Credit can be a scary thing. Just remember, that like a budget, credit is your friend. A good credit history can help you get a lower mortgage rate or a higher credit limit, as well as benefit you in other ways. If your goal for the New Year is to gain some good credit history but you don’t want to change much about your spending habits a credit card might be for you. There are other ways to establish credit like: auto loans, secured credit cards, and student loans. Visit our website, www.ksu.edu/pfc/credit to learn more about the various types of credit and find out which one may work for you. If you are making payments currently on your student loans this is helping to build your credit history. If you want to build existing credit make sure you are always paying your bills on time, and using your credit wisely- we recommend about 30% of your credit limit. Another important tip to remember is to check your credit report for discrepancies, if there is incorrect information on your credit report, clearing this up can dramatically increase your credit score immediately. You can check your credit report at www.annualcreditreport.com 3 times a year, one per credit bureau, for free. Finally, no matter your financial situation, do not get discouraged. A year is a long time and a resolution is in fact that, a resolution, a goal, something you are aspiring towards. So if it doesn’t go as planned immediately, or if you have a couple hiccups throughout the year don’t give up! Just check in on yourself periodically, or have a friend or family member hold you accountable if need be. Good luck! And happy (almost) 2016! Believe it or not, 2015 will be coming to an end before we know. With that for many people comes a “New Years Resolution” and financial stress. As December approaches, it is important to spend some time reviewing the past year and making goals for the upcoming year. Some tips to consider when preparing for the new year are: budgeting, goals, financial literacy, and savings. If you haven’t made a budget, it is a great first step towards achieving financial success. Budgeting can be overwhelming for some people, but just keep in mind that it is a process and requires both time and work. Use December expenses and income as a rough draft for your budget so when the beginning of the year rolls around you are ready to really focus in on your financial situation. Using December as a practice run allows students to have some experience at the beginning of the year, instead of being new to the budgeting process. This experience gives students a chance to start planning ahead for the upcoming semester, school expenses, or the opportunity to begin saving for spring break. Making financial decisions can be difficult for many college students who are managing their money for the first time in their life. If you are feeling financially stressed, feel free to reach out and get help. A great resource for students at Kansas State University is a free individual counseling session with our peer counselors and Salt. Salt is the free online financial tool Powercat Financial Counseling bought for students and alumni that offers numerous financial articles, tools, and many other resources. A recommendation that is helpful when making good financial decisions is to find out what motivates you to make those decisions. Do you have a goal in mind when you make positive financial decisions or is it the feeling of achievement you feel? Either way, use that motivation to continue to find success in your financial situation. If you are unsure of what motivates you, try to really think about the reason behind the financial decisions you want to make. Lastly, as the new year begins make saving a priority. A beneficial habit for students to establish is to pay themselves first. If you try to make it a priority to save a little bit of money each and every month before spending more the financial goals you set will start to become a reality. If you aren’t sure where or how to start savings, start small. Instead of spending $2 a week at the vending machine, try saving that and at the end of the year if you saved that $2 every week you would have a total of $104 of just vending machine money each year! Although this can be a stressful time of the year with a lot of extra expenses, just remember to take a deep breath and plan ahead. The new year is always a great time to regroup and form positive financial habits. If you make a financial resolution, try to stick with it and the hard work will pay off. Powercat Financial Counseling is here to assist you in making these steps as well. Spam free and opt out any time. How should I invest my money?